If you just made a successful trade in a stock, that doesn't mean you should take it off your watchlist. Instead, you should look for new opportunities as you may have a good feel for how the stock trades. 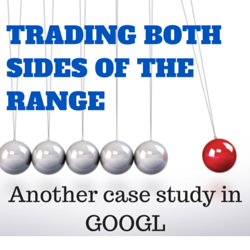 After this amazing call in the breakout in GOOGL, I became more short biased and looked to fade the move. And after the stock dipped, I went in and played the pullback in the stock.